Harajuku guy sporting black fashion with turtleneck top, denim jacket, black coat, jersey pants, boots, and cool accessories. 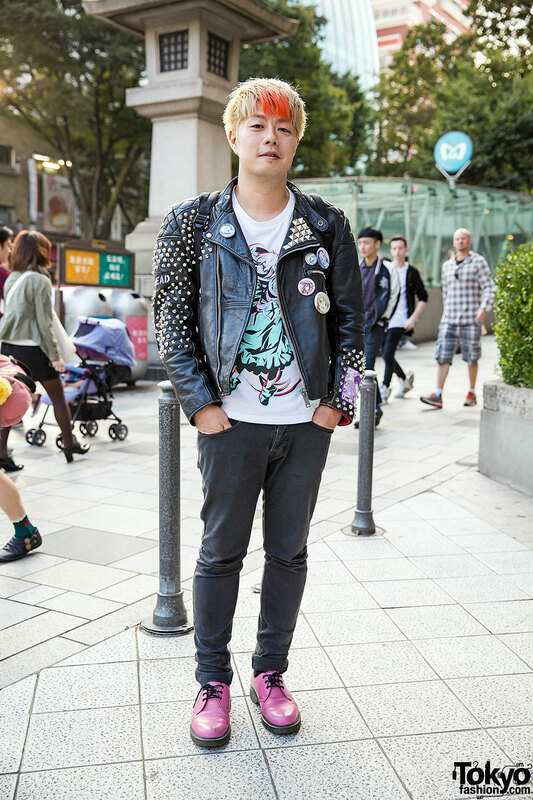 Japanese director wearing a studded biker jacket with anime patches and studs over a graphic t-shirt with jeans and pink lace-up shoes. 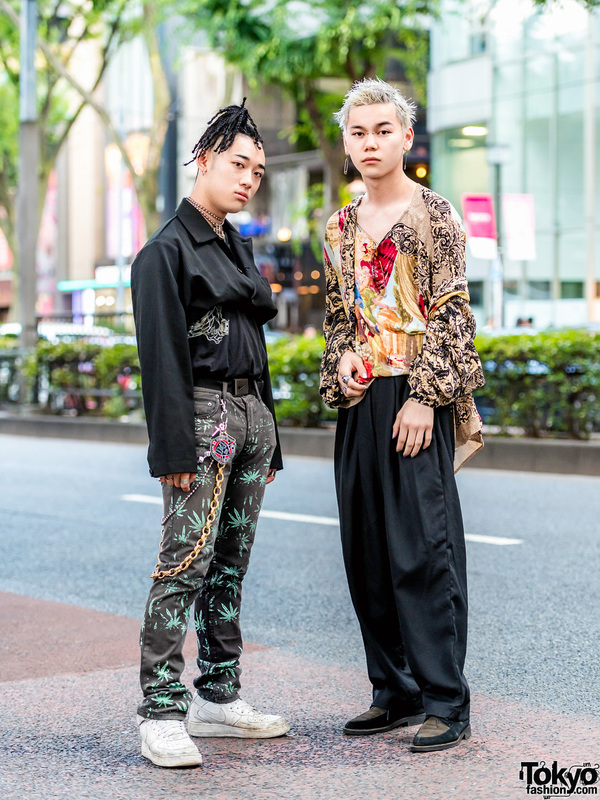 Harajuku guy in a hat and bandana with a Monomania bomber jacket, LHP paint splattered jeans, and suede boots. 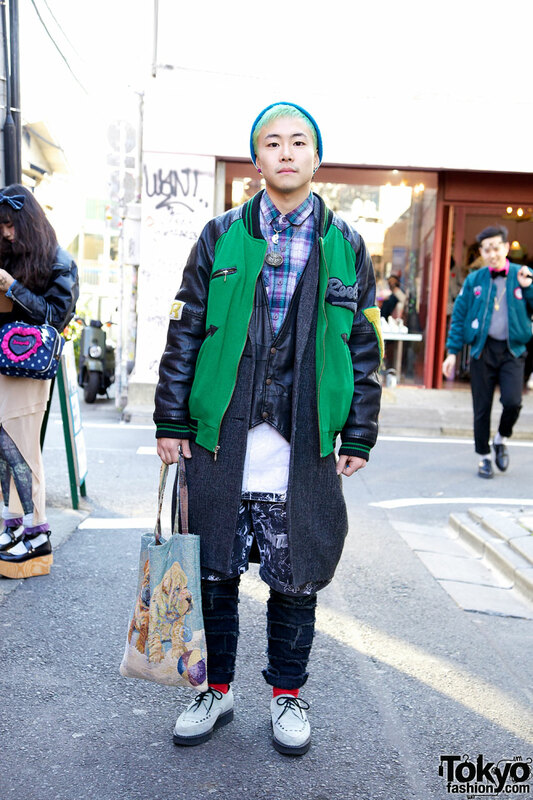 Stylish green-haired Japanese guy in a layered outfit featuring a vintage coat, patchwork pants, and creepers by Underground x G.V.G.V. 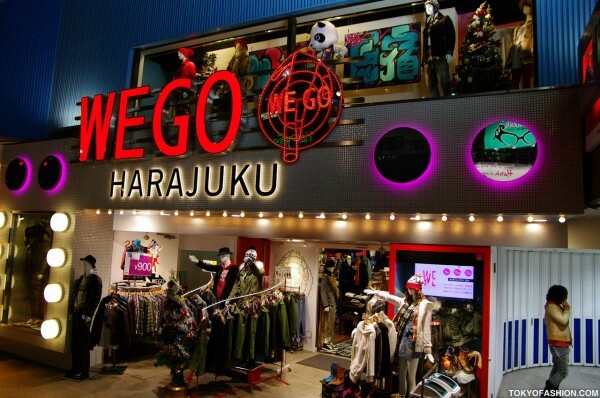 Part one of our Harajuku Christmas 2009 photo walk – featuring 50 pictures of Harajuku holiday lights and decorations.